SCHMITSPARTNERS is a boutique law firm providing legal services and strategic advice to business owners and entrepreneurs. With our hands-on approach we are supporting media and broadcasting enterprises to meet their legal and regulatory challenges so they can concentrate on their business. 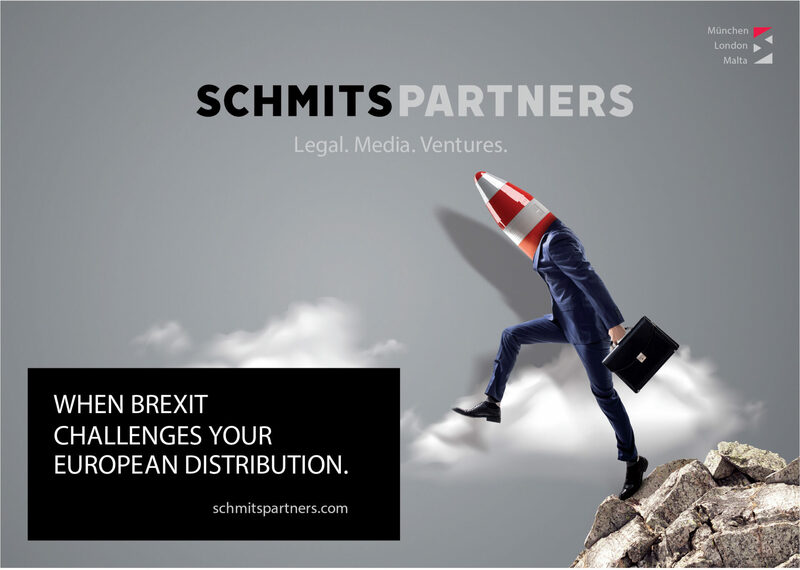 With our team of highly experienced legal consultants based in London, Munich and Malta, we are best positioned to advise clients operating or trading in the UK, EU and internationally (including issues arising out of BREXIT). Clients can expect result-driven, responsive and business minded advice on all media related issues including, broadcasting licences, content distribution, audio visual services, data protection. SCHMITSPARTNERS is were the industry gathers as we have founded, structured and run channels and media projects on our own: Classical TV channel, on-demand sport offering and niche OTT TV channel aggregation.